SAP AG announced that it has completed the acquisition of Sybase, Inc. Sybase survives the merger as a wholly-owned subsidiary of SAP America, U.S. operating subsidiary of SAP. Kevin's Mobility News Weekly is an online newsletter that is made up of the most interesting news and articles related to enterprise mobility that I run across each week. I am specifically targeting information that reflects market numbers and trends. You can read archived versions of the newsletter here - http://mobileenterprisestrategies.blogspot.com/p/kevins-mobility-news-weekly.html. Are you going to SAP’s TechEd Las Vegas in October? I will be teaching a session entitled The Future of Enterprise Mobility. For the current buzz on SCN (SAP Community Network), check out the SAP TechEd blog topic. Also, follow SAP TechEd on Twitter and Facebook! Palm’s CEO Jon Rubinstein affirmed that Web OS 2.0 will become available for download later this year. AT&T has been rumored to have put their name down for 8 million Windows Phone 7 devices. Jeff Bezos, Amazon's CEO announced this week that they are seeing rapid growth in Kindle, Amazon web services, third-party sales and retail. He added, "In the last 12 months, customers around the world have ordered more than $1 billion of products from Amazon using a mobile device." Ericsson reported second quarter sales of SEK 48 billion, down 8 percent from a year earlier. The market conditions were similar to the second half of 2009, with mixed operator investment behavior, Ericsson said. Verizon said it lost $198 million in the second quarter of 2010, compared to earnings of $1.48 billion a year ago. Revenue dipped to $26.8 billion, down from $26.9 billion a year ago. The telecom giant's Verizon Wireless unit increased total revenues 3.4 percent year over year, buoyed by 5.2 percent growth in service revenues and a 23.8 percent jump in data revenues. See a pothole that needs to be filled? There's an app for that. Wish the city would fix that traffic signal around the corner? There's an app for that, too -- if you're in Alpharetta, Georgia. The city has launched a new system for reporting minor hazards using a free application for smartphones. Adding digital mailroom solutions in the mailroom, and mobile enterprise applications for invoice approvals on the backend extends the invoice approval process two directions. Nokia remains by far the world’s biggest producer of mobile phones but has struggled to come up with a product to compete with the Apple iPhone and other high end devices. Since Apple released the iPhone in June 2007, Nokia’s shares have fallen 66 percent, and 55.6 billion Euros have been wiped off its market capitalization. Perhaps the biggest change in the SAP mobility space is the shift from talk of “point solutions” to the need for an Enterprise Mobility strategy that gives structure and central management of the surge in point solutions for different focused applications like field service or e-procurement. As the world celebrates this month’s signing up of the five billionth mobile phone subscriber, Africa is stepping forward to claim credit as one of the regions that have driven the phenomenal growth over the past decade. From only 16 million subscribers in 2000, the continent now boasts about half a billion subscribers, according to telecommunications firm Ericsson. Global smartphone shipments in the second quarter of 2010 grew 43 percent to 60 million units from 42 million a year ago, accounting for 19 percent of handset volumes, according to a study by Strategy Analytics. Android's share of the UK mobile market grew by more than 10 percent in a single quarter, International market research firm GfK's Retail and Technology division announced today. Smartphones reached nearly 67 percent penetration in the contract mobile device market in the second quarter, and by June had already grown to 73.5 percent. Sanjay Jha, co-CEO of Motorola, said Saturday morning that he was convinced that the vast majority of volume in mobile devices over the next five years would be with Android devices. Looking to the future, Ericsson CEO Hans Vestberg stated that the infrastructure industry will likely never see a return to the 20 percent to 30 percent yearly growth rates of the late 1990s, when equipment vendors installed hundreds of completely new networks worldwide. ParkWhiz is a service that enables hundreds of independent parking owners to offer reserved, guaranteed parking spaces near top destinations like airports, stadiums, and theaters via a newly launched mobile HTML5 website. ParkWhiz partners with parking lot owners, which range from people who own a single space to large parking management companies, across the country to list their inventory on ParkWhiz. The number of internet users in China increased to an estimated 420 million at the end of June 2010, according to industry association China Internet Network Information Center. The number of users was up by 9.4 percent compared to the start of the year. Of the total, 363.81 million (or 86.6 percent) used broadband fixed line access modes, while 276.78 million (65.9 percent) used mobile handsets. A new study finds that retailers and marketers are not taking full advantage of the opportunities that exist for integrating mobile and social. The eROI study surveyed 500 business to consumer and business-to-business companies. The majority cited lack of resources and education as the primary reasons why they are not putting more of a priority on mobile or social. Britons are not getting the broadband services they are being sold, research by the regulator Ofcom suggests. Its analysis of broadband speeds in the UK shows that, for some services, 97 percent of consumers do not get the advertised speed. It also shows a growing gap between the claims ISPs make for broadband and the speed being delivered. To fix the problem, Ofcom is revamping the code of conduct for ISPs and asking for changes to how broadband is sold. Vodafone will look to entice handset vendors to preload 360 services on their devices. 360 services include mobile back-ups and other cloud services. HP will make webOS, which it acquired with Palm, its primary software platform, and though it will still release a Windows 7 tablet, it does not plan to use WP7 or Android for smartphones or other mobile devices. VGMarket and PlaySpan collaborated on the 2010 Digital Goods Report that reveals consumer behavior patterns. “The most surprising finding of the report is that 59 percent of respondents have purchased digital goods from third party sources,” Mr. Gluck said. The report also found that while males are the primary drivers of total digital goods sales, North American women 25 and older spend significantly more per person. When looking at the median spent on first party purchases within social network games, the average female spent $55 dollars, compared to only $30 for males. According to a recent study by the Aberdeen Group, organizations that adopt a scheduling solution see on average a 12 percent improvement in workforce utilization. While many field service organizations are slow to adopt a scheduling solution, those considered “Best-in-Class” are 50 percent more likely to adopt and implement resource planning tools that harmonize the execution capabilities of their scheduling applications. Technology Business Research, Inc. believes that the addition of Sybase to the SAP business, and the subscription revenue from its mobility business, will increase growth even more rapidly for SAP and will ultimately change the cyclicality of the business going forward. I had the opportunity recently to video record an interview with Ed Krufka, EVP at Smartsoft Mobile about their company and strategies. According to research by comScore, the number of online retail mobile applications accessed by users has increased 91 percent in the last year. Additionally, mobile Web use for the same purpose has increased 47 percent. Research In Motion’s future looks bleak. R.I.M., which makes the popular BlackBerry devices, has had a stronghold in sales to American companies, but that has been cracked open. Apple said last week that more than 80 percent of Fortune 100 companies were testing or deploying its iPhone. Meanwhile, phones using Google’s Android operating system appear to be making inroads, too. That spells trouble for R.I.M. Google has announced Google Maps for mobile 4.4. Google is introducing an even easier way to find places around you. With updated Place Pages, you should be able to find all you need to know about a place, whether you’re wandering into a new restaurant or deciding from your couch. In addition to photos and reviews, Place Pages now have a bunch of new details, such as prices, parking and menu links to inform your quest for the perfect steak. In this article we take a more in-depth look at ROIs that can be achieved by mobilizing and automating field services. We start out by reviewing some of the ROI points we discussed in an earlier article and then adding to the list. Two telecom operator backed software groups are merging to counter increasing competition from new rivals Google and Apple for mobile phone applications. Uniting the two groups -- smaller, more established JIL and wider application alliance WAC -- will let software developers reach a larger share of their telecom operator members' 3 billion customers with just one version of software. With the increased prevalence of smartphones and other mobile devices within the enterprise, SAP sees developing for those platforms as key to its future growth. "In the past 18 months, what we've been noticing is that device specific experiences are the ones getting huge amounts of adoption," George Mathew, SAP's general vice president and general manager for Business Intelligence & In-Memory Analytics, said during a July 22 interview with eWEEK. SAP said its acquisition of mobile software company Sybase should boost its software and software related service revenue for 2010 between 9 percent and 11 percent. If your developers are inexperienced with mobile development, they probably have a few assumptions about how things should work, when in fact, their only assumption should be that those assumptions are wrong. 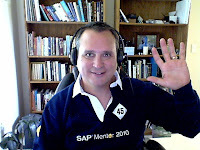 I recently recorded a video comment on the subject of The Next Steps to Business Process Automation - Mobility. This segment is very interesting to me as it covers developments and extensions to business processes in two different directions, 1) automating company mailrooms, and 2) by mobilizing business processes. Until recently I had not considered that many business processes do not start until the mailroom manually opens, sorts, stores, transports and distributes mail and other paper documents (order forms, warrantly cards, customer complaints, invoices, etc) to the various departments in a company. This is a very old fashion, potentially slow and labor intensive process that is prone to many human errors. Digital mailrooms and transactional content management solutions are new categories of solutions that extend automation into the mailroom. For more information on this category of solutions visit BancTec's blog Transactional Content Management and Digital Mailrooms. The second area I cover in the video comments is mobilizing the invoice approval process. This involves extending traditional ERP invoice approval processes out to mobile devices like smartphones. Why is this important? Often suppliers will offer "early payment" discounts if a manufacturer pays within a certain agreed upon period of time (e.g. Net 7 days). That means the person who approves the invoice must be able to review and approve the invoice quickly enough to meet those terms. If the manager is mobile and travelling it would be easy to miss a deadline, however, with the right mobile application the invoice can be approved from anywhere. If a digital mailroom speeds up the process of opening, sorting, imaging, data capture and routing data to the appropriate ERP business process in the mailroom, and invoice approvals can be completed on mobile devices, then you have extended business process automation (invoice receipt, processing, approval and payment) two directions and with great potential results for the business. In this article we take a more indepth look at ROIs that can be achieved by mobilizing and automating field services. We start out by reviewing some of the ROI points we discussed in an earlier article and then adding to the list. It is important to recognize that ROIs don't just come from cost savings. Upselling products and services can bring in new revenue. Providing better customer service can leave a lasting impression that results in more business and referrals. Automating and mobilizing business analytics and queries can provide new insights and more business opportunties for the field sales and field services teams. Integrating work order dispatch with enterprise asset management and location based technologies can ensure that you optimize the use of a field service technician's time while onsite with a customer. Here are 29 areas where you can look for ROIs. 1. Eliminate time spent in the office re-typing data collected in the field by enabling field service technicians to synchronize information directly with the office database. 2. Eliminate time spent on the phone dispatching service tickets or work orders. This saves time for both the dispatcher and the service technician. Dispatch electronic service tickets directly from your work order management system in the office with the mobile device of your service technician. 3. Save time finding each work location. Send driving directions or links in the electronic work order that work with the GPS and mapping software in the mobile device. 4. Avoid the high fuel costs incurred by delivering paperwork to the office. Synchronize the data directly from the field to the central database application. 5. Avoid the time and cost of transporting paperwork from the field to the office. Synchronize the data collected from the field with the push of a button. 6. Save time and provide better customer service by providing real-time access to enterprise parts, orders, and inventory data while in the field. Enable mobile access to customer history, product documentation, warranty information, inventory information, timesheets, work schedules and much more. 7. Save time with field data collection by using barcode scanners and barcode labels, or RFID readers and RFID tags on assets. A quick scan with a handheld computer can automatically display all stored information related to the asset for quick review, edits and additions. 8. Save time and reduce administration costs by creating and scheduling new service tickets directly from the field. 9. Provide immediate invoicing for faster collections and better cash management. Allow the field technician to print the invoice on a mobile printer at the job site. 10. Save time and postage costs. Print the invoice and leave it with the customer at the job site rather than waiting and billing later from the office. 11. Document proof of work completed to reduce invoice disputes. Leave a GPS audit trail showing where the work was performed and include a time and date stamp. Digital photo evidence of before and after work is also useful. 12. Reduce the introduction of errors. Paper based systems are inherently slow and error prone due to human interaction, copying and re-typing. The more human hands that touch a paper form and add or edit data, the more chances that errors can be introduced to the data which can cause invoice disputes, inaccurate records and confusion. 13. Reduce administrative costs by ensuring complete data is sent from the field, as incomplete or inaccurate field data can take hours of work to track down and correct. Send data from the field and ensure it is complete with data integrity features on the mobile device. 14. Reduce administrative costs by avoiding errors and misinterpretations due to poor or misread handwriting. Create electronic forms with pre-made options, check boxes and lists, and by using smartphone keypads. 15. Reduce administrative costs by ensuring the accuracy of data. Validate answers in the mobile software application. 16. Reduce time on the phone and dangerous note taking while driving. Push documents directly from the office to the mobile device. 17. Save time and fuel by providing electronic dispatch and least cost routing. Use vehicle and/or handheld GPS tracking to view your workforce locations. Smartphones with GPS functionality can integrate with GIS and display the location of the field worker to help managers better organize service responses. 18. Save time by developing computation and analysis features on the mobile device in the field. Programmed analytics can help field users make quicker and more accurate decisions and job estimates. 19. Save time in the field by automating business processes in the mobile software. Mobile application can be configured to perform all kinds of automated business functions, queries, computations and analytics. 20. Enforce quality work habits. Automate “best practices” into your mobile software application and provide visibility to managers. 21. Automate quality and best practices. Activate the appropriate business process based upon the data entered. A specific answer can trigger the required business process. 22. Reduce inventory loss. Avoid undocumented inventory usage and unbilled time. Enforce real time data entry before clock out or work order completion. 23. Improve job estimates. Require clock in and clock out on work to document and analyze the accuracy of work estimates and improve over time. 24. Improve technician training. Train new service technicians and inspectors with audio memos or video clips embedded in the mobile application or linked to a URL. 25. Reduce disputes by documenting deliveries and work with digital signatures, date and time stamps and barcode scanners on the mobile device. 26. Save travel time and fuel cost. Query available inventory in nearby company vehicles. 27. Increase profit per customer. Use information on mobile devices to up-sell more products and services while onsite with the customer. 28. Provide quicker and more accurate estimates. Query latest shipping status, schedules or inventory levels via mobile devices while onsite with customers. 29. Increase warranty revenues. Include updated customer information on the mobile device so the service technician can sell warranty and maintenance plans, new products and upgrades. If you are involved in the world of SAP, you may want to review SAP's solution for field services automation called the SAP® Workforce Scheduling and Optimization application by ClickSoftware. This list is far from complete. What additions should I make to the list? I look forward to hearing from you! Watch my latest video comments on field services automation and Enterprise Mobility Changes Expectations. Welcome to Kevin's M2M News Weekly. This is an online newsletter that consists of the most interesting news and articles related to M2M (machine to machine) and embedded mobile devices that I read each week. I aggregate the information, include the original links and add a synopsis of each article. I also search for the latest market numbers such as market size, growth and trends in and around the M2M market. You can read archived editions of Kevin's M2M News Weekly at http://mobileenterprisestrategies.blogspot.com/p/m2m.html. Also check out Kevin’s Mobility News Weekly and Kevin’s Enterprise Mobility Blog. AT&T has announced new products aimed at the mobile enterprise and a new partnership in the M2M space. The new service will provide high level security for calls on AT&T's mobile network and is expected to be available later this quarter. It is targeted at government agencies, law enforcement organizations, financial services institutions and international businesses. It has also launched a new SMS service targeting the same sectors. Consumer electronics companies expect their products to be always connected, and therefore are increasingly interested in M2M. This raises the possibility of major customer deals, some of which will be global in scale. "The launch of eReaders such as the Kindle has provided a new impetus for M2M," continued Kirchheimer. While not all operators see the value in such a deal, and believe a more telco-advantageous revenue model is needed, they recognize that it is a major opportunity in terms of numbers of connected devices. Telit Wireless Solutions, Inc., the U.S.-based mobile technology arm of Telit Communications, announced today that the UC864-G module has earned certification on the AT&T wireless network. Featuring an ultra-compact size, the UC864-G is designed to enable the high-bandwidth cellular data transmissions that consumer and enterprise electronics developers require for more complex, connected 3G devices. Ericsson predicts that by 2020 there will be 50 billion M2M enabled devices. Those are large numbers, but it is easy to see the benefit of machines monitoring themselves and reporting mechanical problems, maintenance or replenishment needs. Cellular M2M module shipments approached 28 million in 2009, and according to ABI Research they will quadruple to exceed 114 million in 2015. This is a market showing strong growth, but not all segments of it are benefitting equally. In a Friday announcement, AT&T said it has certified more than 850 specialty consumer and M2M devices ranging from eReaders and netbooks to digital photo frames and home security monitoring devices. A new report from Menlo Park, California based Spyglass Consulting Group says that an astounding 94 percent of doctors are using smartphones to communicate, manage healthcare and personal workflows and access medical information--up from 59 percent in November 2006. Technology that aims to keep congestive heart failure patients out of the hospital is gaining traction. The idea is for heart patients to take readings like their weight, blood pressure and other key metrics using wireless and other technologies. The data are then transmitted to a case manager or medical care giver. That way health care providers can catch, and address, warning signs before the patient lands in the ER with shortness of breath or a heart attack. Five M2M and embedded mobile device projects have been selected to receive grants. Each project will receive $100,000 and will be supplemented with a total of over $1.7 million in matching funds. New ideas for the iPhone include a stethoscope like attachment from Farmington, Minnesota based AUM Cardiovascular. The Vista Institute in Minneapolis is developing an iPhone program that will help restaurants monitor food safety, and Minneapolis based PedalBrain will sell a product for cyclists later this year that will collect performance data and make it available in real time on their iPhones. Mr. Hosken, Ericsson country manager, said that M2M communications will be a key component in the future growth of the mobile industry. Apple on Tuesday announced its newest input device - the Apple Magic Trackpad. The product is nearly identical to the trackpad embedded in Apple laptops, but this is an external, multi-touch surface that supports all the swiping and pinching gestures made popular by the iPhone. M2M telecoms specialist Telit Communications has agreed to a commercial partnership with France Telecom’s Orange Business Services unit, under which Telit will distribute Orange’s complete range of M2M solutions on the French market by adding them to its own modules. M2M device shipment revenues are expected to grow at an annualized rate of 27 percent over the next 5 years, reaching $10.6 billion worldwide by 2011, according to figures just published by Harbor Research Inc.
2GIG Technologies announced today that it has entered into a direct partnership with T-Mobile USA, Inc.'s M2M division to provide the robust wireless infrastructure for its security suite of products. Until recently M2M communications were delivered mainly by MVNOs, and only recently has this market segment caught the attention of Verizon, AT&T and others. Both Verizon and AT&T have strategic partnerships with companies who provide technology that enables M2M communication. Now, Verizon and AT&T are working through their relationships to deploy, install and collect bills for enterprise M2M. I had the opportunity recently to video record an interview with Ed Krufka, EVP at Smartsoft Mobile about their company and strategies. 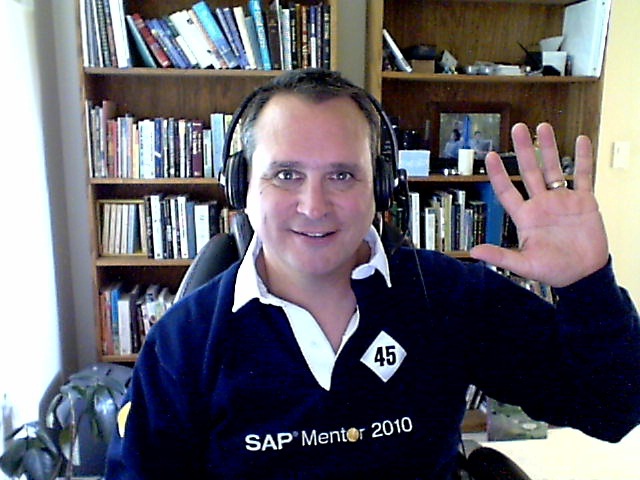 Click here to watch the video interview on the YouTube SAP Mentor channel. I think it is always interesting and useful to hear from someone that has 400,000 mobile users, and over 700 ERP/mobility consultants with over 5,000 man-years of experience on staff. To watch other video interviews with mobility experts check out the complete list here. Andy Wright, in a recent blog article wrote, "According to a recent study by the Aberdeen Group; organizations that adopt a scheduling solution see on average a 12 percent improvement in workforce utilization. While many field service organizations are slow to adopt a scheduling solution, those considered “Best-in-Class” are 50 percent more likely to adopt and implement resource planning tools that harmonize the execution capabilities of their scheduling applications." From personal experience I would agree with the Aberdeen Group's findings. When you consider all of the different areas where a service company can receive a positive ROI, not automating a field service organization seems simply irresponsible. Save the office staff's data entry time. Enter clean, valid data in the field using your smartphone and have it automatically synchronize with your office business software application. Dispatch service or work order information directly to your field worker's mobile device in real time. This improves work efficiency and customer care. Synchronize data from the field, so you don't have to drive into the office to deliver your paper work. Provide access to database information anywhere you go. This can mean customer history, product documentation, warranty information, inventory information, time sheets, work schedules and much more. This creates efficiencies both for the field worker and the office staff. Use bar code scanning on your mobile device to scan equipment, inventory, buildings, products, etc. Scan a bar code and have all the relevant information on your asset immediately available for your review on the screen of your smartphone. Immediate invoicing - complete work in the field and immediately print the invoice and hand it to the customer for collection. This improves cash flow and reduces collection issues. Create an immediate audit trail of work and locations by integrating GPS to your invoices and work orders. Detail work completed in that location. Take digital photos of before and after work to document tasks and the completion of work to reduce costly invoice disputes. In part 2 of this article I will take a deeper look at ROIs available from mobilizing field services. In the meantime, SAP mobility partner, Clicksoftware has a short video that describes how to mobilize various tasks in the field. This is a very interesting report by Bezos on mobile sales numbers. I believe it! My wife is regularly using the Amazon iPhone application to order books and other essentials. You can find a book on a store shelf, reach for your iPhone and enter the ISBN number. You can immediately see the cost for a new and used version of the book on Amazon. With one click shopping the book is on its way, and since we subscribe to the free shipping program at Amazon, even the delivery is free. This process must frustrate bookstores or maybe not. I guess any used book store can choose to sell books on Amazon - they could be the one making money from the Amazon iPhone application. I wonder how Amazon's mobile applications change the way a used bookstore operates? I saw an example of some changes that I suspect have come about because of Amazon and mobile applications. 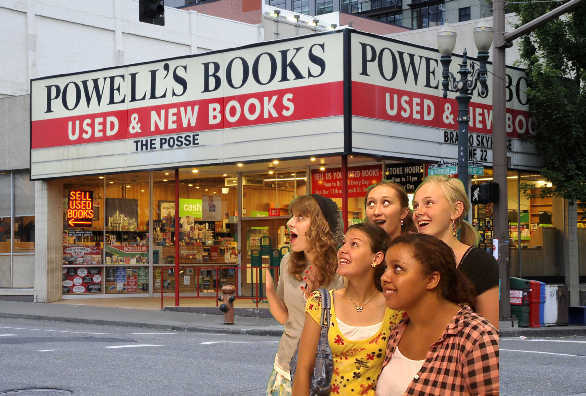 I was recently in the Powell's bookstore in Portland, Oregon. 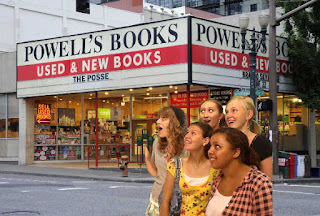 As I was browsing the many rooms and floors of books (the store is enormous and a favorite destination of ours), I noticed that Powell's had covered all of the original ISBN numbers and barcodes on the books with a proprietary Powell's sticker and barcode. Why would they do that? It makes it far more difficult to look up the book on an Amazon iPhone application or scan the barcode with your iPhone RedLaser application. You can read archived newsletters here - http://mobileenterprisestrategies.blogspot.com/p/kevins-mobility-news-weekly.html. The FCC will announce at its open meeting Thursday a plan to create a $400 million program that would bring broadband connections to rural healthcare providers. The proposal comes from the FCC’s national broadband plan, which recommends making high-speed Internet service an underlying platform for transferring information between health care providers, patients and hospitals. Apple posted revenue of $15.7 billion dollars for its most recent quarter, beating Wall Street analysts’ estimates yet again. Earnings were up more than 77% from a year ago, to $3.25 billion, the company said. ShopRite loyalists in the next few weeks will be able to update their loyalty cards with the grocery chain’s coupons right from their iPhone or Android-enabled phones. Digital coupons include those that are distributed electronically, including coupons printed, saved to a store loyalty card or redeemed on a mobile device. In 2009 digital coupons represented 10 percent of coupons redeemed, up from 1 percent in 2006. Domino’s Pizza claims that its mobile program via Foursquare has contributed to a 28.6 percent increase to the pizza chain’s online profit across Britain. Companies rarely understand the full extent of the changes mobile software solutions will bring to their organization. They appreciate the concept of having access to enterprise content in mobile environments and converting paper document processes to electronic, but they don't often see the complete vision for how enterprise mobility can re-engineer business processes until they have walked the path for a while. Android Market now boasts about 92,000 applications, and is on pace to surpass the 100,000 benchmark by the end of this month. Android developers have already submitted over 10,720 new Market applications through the first 15 days of July, compared to 15,288 new Android apps in all of June. In a survey of consumer mobile banking preferences released today, IDC Financial Insights found mobile banking usage has almost doubled since last year's survey, and the number of institutions offering the service has also increased. The Walt Disney Company announced its Toy Story 3 application for Apple's iPhone and iPod Touch exceeded 1.7 million downloads a month after its App Store debut. Retailers are seeing a solid return on their mobile channel investments. Sixty-two percent say their mobile channel returns are either exceeding (17 percent) or meeting (45 percent) expectations. Nokia just announced that net sales in the second quarter of 2010 topped 10 billion Euros across units, and that it has shipped more than 111 million mobile devices, up 8 percent from third quarter 2009. Net income, however, fell to 227 million Euros, down from 380 million Euros a year earlier. That’s a 40 percent drop in net profits. Nokia’s preliminary estimated mobile device market share was 33 percent in the second quarter 2010, down from an estimated 35 percent in the second quarter 2009. AT&T's net income rose to $4.02 billion in the second quarter, up from $3.2 billion a year ago. Consolidated revenues totaled $30.8 billion, up 0.6 percent over the year earlier quarter, heralding the operator's second consecutive quarter with a year over year revenue increase. Socket Mobile, Inc. a provider of mobile productivity solutions, announced its new line of wireless barcode scanners designed specifically to work with the Apple iPad™, iPhone™ and iPod™ touch. A new report by the independent telecoms analyst states that mobile application downloads generated by non-operator application stores will grow by a compound annual growth rate of around 41 percent globally over the next five years, with total downloads reaching almost 21.3 billion by 2015. That's up from 2.69 billion in 2009. On Linkedin there is a group called SAP Enterprise Mobility, http://www.linkedin.com/groups?about=&gid=2823585&trk=anet_ug_grppro that focuses on issues related to SAP mobility. SAP has a dedicated website for SAP mobile technologies at http://www.sdn.sap.com/irj/sdn/nw-mobile. I have recently started a second weekly newsletter to track the very interesting and emerging M2M and mobile embedded device market that you can read here: http://mobileenterprisestrategies.blogspot.com/p/m2m.html. Trilliant, a California-based provider of smart grid solutions that enhance energy efficiency, utility operations, and renewable resource integration, this morning announced that it has secured a whopping $106 million in funding from a global syndicate of industry and financial big-names: Investor Growth Capital, VantagePoint Venture Partners, ABB and GE. In August 2008 Trilliant raised $40 million from MissionPoint Capital Partners and zouk ventures. Enphase Energy's new Environ Smart Thermostat lets you control your home’s temperature and monitor your solar installations remotely. All of the data is transmitted to a website where you can analyze your energy consumption and, with the new thermostat, control your home’s temperature from afar. T-Mobile USA is continuing its aggressive push in the increasingly important M2M services market by striking a partnership with asset protection provider IContain and Asset Protection Products LLC to help reduce operating costs in the $7 billion US rent-to-own sector. The world of M2M communications is no longer just about vehicle tracking applications, Kore Telematics is fond of saying. But according to its own numbers, 70.7 percent of the M2M device connections Kore manages still connect GPS devices in vehicles and other assets. Cinterion Wireless Modules, a leader in cellular M2M communication modules, and Airo Wireless, a maker of ruggedized cell phones, today announced their collaboration on the Airo A25 is, the first ever intrinsically safe, ruggedized cell phone certified for use in explosive, hazardous environments. Elan Digital Systems UK believes that the next standard for M2M high speed data interface will be SDIO. 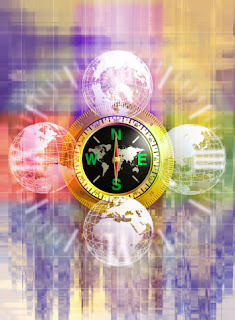 iSupplie has stated that embedded GPS technology won't just be limited to smartphones in the future. 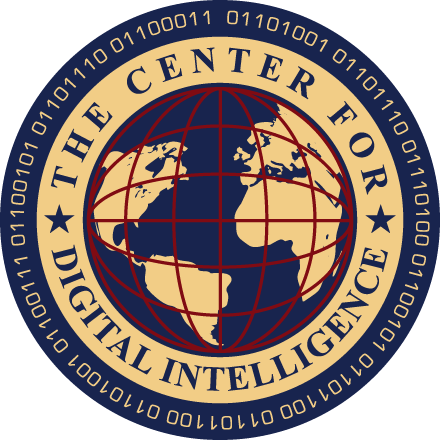 iSuppli says by 2014 there will be increased penetration in a variety of consumer and computer electronic devices. Examples of devices that will have embedded GPS in 2014 include 18 percent of all laptops and 42 percent of portable handheld video game players, the firm is estimating. While embedded and remote devices are not always highly visible because of their behind-the-scenes role, they are becoming pervasive. There will be more than 400 million embedded devices and M2M connections by 2014, when more of the world’s mobile data traffic will be transferred monthly on embedded computing systems than during all of 2008. AT&T announced Wednesday it's signed an agreement to allow Petra Solar solar panels in New Jersey to communicate with the utility Public Service Electric and Gas over its wireless network. The AT&T agreement will allow the solar panels, which have their own smart-grid communication tools built in, to communicate with PSE&G's smart grid via the AT&T wireless network. The solar panels will even have their own pricing plan as part of the company's M2M service plan. US operator AT&T has announced new products aimed at the mobile enterprise, and a new partnership in the M2M space. Telit Wireless Solutions, Inc., the U.S. based mobile technology arm of Telit Communications, announced today that its CC864-DUAL, a CDMA-1XRTT dual-band cellular M2M communications module, is now certified for use with Verizon Wireless, the largest wireless service provider in the United States. Telit customers can now leverage the CC864-DUAL to launch smart, embedded cellular products on Verizon Wireless' nationwide wireless network. With mobile services still on a rapid upswing in markets such as India and China, the past week saw the global mobile subscriber base reaching a new high of 5 billion on Thursday July 8, 2010, estimates leading telecom vendor, Ericsson. In the days to come, mobile services are also expected to be converged with M2M, and this is estimated to be a key component in the future growth of mobile services. The Subscriber Identity Module – that standard little chip that houses all of a subscriber's information for GSM-based networks card is changing. Long Term Evolution technology is advancing the smart card, while the potential of M2M communications is evolving the size and form factors for SIMs. Rapidly falling chipset prices are making WiMax well suited for M2M communications, but expensive Long Term Evolution modules may be the only safe bet for the long haul, says Heavy Reading Mobile research analyst Tim Kridel. What do Jeff Bezos and Lindsay Lohan have in common? They are two examples of how the definition of M2M communications has broadened over the past two years. Companies rarely understand the full extent of the changes mobile software solutions will bring to their organization. They appreciate the concept of having access to enterprise content in mobile environments and converting paper document processes to electronic, but they don't often see the complete vision for how enterprise mobility can re-engineer business processes until they have walked the path for a while. Let me share some personal observations that I have had working on mobility projects. Most mobile software projects start small and have a very limited user base and business focus in the beginning. As the users begin to test and adopt the new mobile software solutions, they most often expand the project as they quickly recognize the efficiencies that can be gained by using mobile enterprise. It seems many companies must see to believe. There is usually some point about 80 percent through the mobile software project when the lights go on! The client can see beyond their immediate project to the greater potential for enterprise mobility. This is where the client starts wanting to add to the list of features and expand the project scope. Mobility is a process - a company may start with simple mobile micro-apps (small iPhone, BlackBerry, Android apps) for alerts, notices, paper replacement, etc., and then expand to geospatially aware apps that are integrated with business intelligence and knowledge management applications. Companies may start with mobilizing their field service technicians, but rapidly expand to mobile CRM, mobile shipping and inventory status, mobile enterprise asset management, quality assurance inspections and reporting, real-time mobile business analytics for the management team, route accounting and proof of delivery for the truck (or lorry) drivers. The more the company learns, the more they realize the benefits of mobile data solutions. The challenge is architecting an enterprise mobility solution from the beginning that can accommodate all of these future additions. If a company has started down the path to mobilizing their operations and business processes but have chosen to customize each mobile application differently, they will quickly realize their error in not starting with a MEAP that can support all of the mobile applications on a common platform. The MEAP (mobile enterprise application paltform) is a server based product that supports a standardized way of designing, developing, deploying and supporting multiple mobile software projects in a standardized manner. Once the MEAP is in place, all IT developers, consultants and technical support personnel can be trained on the same platform and methodologies for efficiencies and speed of development. In addition to standardized design, development, deployment and support, a MEAP adds: version control, permissions, application publishing, data security configurations, database integrations, device management and much more. It is important that field services organizations consider both the server side and the mobile side of an application. There are many advantages that can be gained if the enterprise field service optimization solution is tightly integrated with the mobile solution. Shared roadmaps can ensure that new features provided to the FSO application can be quickly extended to the mobile application. It is not good to require a separate software development project every time there is a new set of features delivered to the FSO application. The TCO (total cost of ownership) and pain goes way up! Companies like SAP's mobility partner, ClickSoftware combine both the FSA and mobile application together. The field service technicians begin to hate paper very quickly after deploying good mobile applications. They don't want to use the mobile device for some data collection but paper for others. The mobile user also has a smartphone, and they are increasingly sophisticated in their knowledge and use of smartphones. Their expectations for mobile enterprise applications is quickly rising. If you have experience implementing mobile solutions, what additional observations have you noted? What does an automated and "mobilized" work order system or service ticket dispatch and management system look like? Here is a scenario - A customer calls in to report a broken heating system. The office staff takes the phone call, enters the relevant information into the work order application on the desktop computer which then creates a unique work order and number. The work order database application, with GIS integration, can compare the location of each service technician to determine which one is closest to the work location. The dispatch system can also look at the estimated availability of the nearby service technicians. In addition, the solution can quickly look up the qualifications of each service technician to see which ones are qualified for the job. Once the appropriate service technician is identified, the work order is dispatched to the smartphone or handheld computer used by the service technician. Included in the electronic work order is driving directions from his/her current location to the next job location. In addition to the work order information, warranty, repair, users manual, maintenance history, customer support issues and product information on file can also be dispatched to the mobile device for reference and parts inventory management. Once the service technician arrives at the location, he opens the work order on the mobile device. Opening the work order automatically captures the service technician's name, the date/time stamp and the GPS coordinates of the jobsite and enters them into the mobile application’s work order. In addition, the service technician can see where all other service technicians are currently located. Next the service technician examines the broken heating system and determines which parts need replaced. He can pull out his mobile device and check whether he has the needed parts in his vehicle inventory, if not, it can automatically search for nearby service vehicles that may contain the part (GPS tracking enables this feature). If another nearby service vehicle is determined to have the required part, then driving directions can be provided. When the service technician arrives at the service vehicle with the needed part, then the part is scanned using a bar code scanner in the handheld computer to log its removal from the vehicle's inventory and assigns it to the appropriate work order number. Back at the work site, the service technician runs into a challenge. He has never worked on this model before and needs advice. He snaps a digital photo or activates his digital video and records a view of the equipment and problem. His supervisor reviews the images and quickly walks him through the repair. Once the work is completed, the service technician signs his name on the mobile device screen, and has the customer sign the work order screen as well. The service technician prints an invoice on a mobile printer and collects the payment or swipes the customer’s credit or debit card. The collection is noted on the mobile work order and synchronized back to the office. As soon as the work order is completed and synchronized, the mobile application reminds the service technician to promote a 2 year service contract. The service technician reviews the details with the customer and signs them up for a 2 year service contract. Next, the work order system reviews job locations and priorities and assigns the next optimized work order to the field service technician. This is an example of the processes involved with a basic mobilized work order. There are many more powerful and sophisticated features available from field service automation experts like SAP mobility partner, ClickSoftware. I read recently about the "emergency response" capabilities of ClickSoftware that helps you understand the industry expertise that goes into an enterprise quality field services solution. You can read more about the "emergency response" capabilities on Gil Bouhnick's blog. Gil helps you understand the level of complexity involved in simply switching priorities and addressing emergencies while in the field. You may also find Kevin’s M2M News Weekly on the subjects of M2M (machine-to-machine) and the mobile embedded device market of interest here - http://mobileenterprisestrategies.blogspot.com/p/m2m.html. The iPhone 4 takes an average of 23 percent longer to charge while charging via USB than it does while charging via a standard electrical outlet. Foursquare has just over 1.9 million users. At its current pace, Foursquare will surpass 2 million users within a week. Currently Foursquare has about 5.6 million venues. One in three venues on Foursquare have been checked into only once or never. According to ABI Research's Cellular Modem Product Tracking Database, more than 50 percent of the modem models now available in the market utilize the ubiquitous USB interface. USB modems have become the most popular products – so popular that ABI Research forecasts shipments of nearly 81 million this year. Banks need to reinforce security for their mobile payment services, according to an Ovum research report. The report urges banks to understand the vulnerabilities in mobile payments at every level of its infrastructure. MasterCard has introduced an iPhone application, The MarketPlace. The application gives MasterCard users mobile access to weekday deals. The application is a personalized shopping platform with customized deals and offers from select merchants. According to Comscore by the end of April 234 million Americans aged 13 and over were mobile phone subscribers. So, based on Pew's estimate, nearly 89 million people in the U.S. have used the mobile internet in the past year -- close to one third of the total current U.S. population. Spending on mobile display ads in the United States, estimated at just under $313 million today, will almost quadruple to exceed $1.2 billion in 2015, says ABI Research. The survey also finds that 28 percent of mobile subscribers are accessing the mobile Internet daily, and smartphone penetration in the US currently stands at about 20 percent. Mobile merchants that do not have a swipe available and have to run the card manually experience interchange rates of 2.4 percent or 2.5 percent compared with the typical card-present rate of 1.59 percent. According to Generator Research, the worldwide mobile payments market is expected to grow from $68 billion in 2009 to more than $600 billion by 2014, a compound annual growth rate of more than 50 percent over the next five years. YouTube consumption on mobile devices increased 160 percent in 2009 over the previous year, with mobile video playbacks now topping 100 million per day. Fifty-nine percent of American adults now go online wirelessly using a laptop or cell phone, an increase over the 51 percent of Americans who did so at a similar point in 2009. Twitter now averages more than 800 million search queries per day, translating to over 24 billion per month--far behind Google (88 billion searches per month) but far ahead of Yahoo (9.4 billion) and Microsoft's Bing (4.1 billion). The market for mobile health technology will reach an estimated $4.6 billion by 2014, according to a report by CSMG. mHealth is already a $1.5 billion market and it is expected to grow over the next five years at a 25 percent CAGR (compound annual growth rate). If certain broad healthcare reforms are instituted, such as pay-for-performance, adoption could accelerate. The U.S. market for wireless home-based health care applications will grow from $304 million this year to $4.4 billion in 2013, according to a new report from Parks Associates, a Dallas-based research firm. That translates to estimated annual growth rates of 96 percent in 2010, 126 percent in 2011, 95 percent in 2012 and 68 percent in 2013. One factor fueling the increases is the economic stimulus law's health information technology provisions, which will open new opportunities for wireless vendors, according to the report. In the year 2000, about 720 million people had mobile subscriptions, less than the amount of users China alone has today. Mobile broadband subscriptions are growing at a similar pace and are expected to amount to more than 3.4 billion by 2015 (from 360 million in 2009). While Foursquare is just shy of 2 million users, other services like MyTown have quickly surpassed that number. Same with Google Latitude, which is at 3 million. And you can put Loopt on that list as well, as today they’ve hit 4 million total users. Research In Motion unveiled BlackBerry Protect, extending some enterprise capabilities (the ability to lock down or find a lost device, and to backup, restore and wipe its data). Protect addresses one of the most common security concerns: the lost or misplaced device. Research In Motion's BlackBerry operating system remains the dominant smartphone platform in the U.S., representing 41.7 percent of the market, its market share dropped 0.4 percent during the period as Google's Android increased 4.0 percent to 13.0 percent. Android was the sole platform to grow its market share during the period: Apple's iPhone slipped 1.0 percent to 24.4 percent, Palm's webOS fell 0.6 percent to 4.8 percent and Microsoft's Windows Mobile dropped 1.9 percent to 13.2 percent. It's official. Consumer Reports' engineers have just completed testing the iPhone 4, and have confirmed that there is a problem with its reception. Microsoft CEO Steve Ballmer promised within months a number of Windows-based tablets would be hitting the market, and that the company is urgently working to bring its Windows 7 smartphone OS to market. Facebook plans to migrate away from standalone mobile applications in favor of embracing a platform strategy enabling developers to leverage its position at the top of the social networking food chain. "Where we're going from here is a platform strategy. We're going away from a one-off app strategy." Facebook's conventional web platform supports more than 550,000 third-party applications and a million developer partners. Roughly 150 million users worldwide now access Facebook through their mobile devices. Interesting mobile application strategies for fast food restaurants - On a weekly basis, McDonald’s sends program members a mobile email, with a list of coupons and promotions available that week. Customers then have two choices. One is to use their mobile browser to open mobile coupons, which are shown to McDonald’s cashiers—an alpha-numeric promotional code is clearly visible. The other option, if customers have already downloaded the McDonald’s mobile application, which 8 million consumers have already done, is to download the coupons to their contactless mobile wallet. The following links are interviews that I have conducted over the past few months with enterprise mobility experts and CEOs. Full Disclosure: I am an independent mobility consultant, mobility analsyt, writer and Web 2.0 marketing professional. I work with and have worked with many of the companies mentioned in my articles.